Smart Mom Solutions provides real solutions for the real challenges of today’s mom. Every Smart Mom product is designed to save you time, effort and help you stay connected with your children, school, caretakers, family and friends. Eliminate the small stresses in your day with solutions…Smart Mom Solutions. Click here to shop Smart Mom Solutions Products. 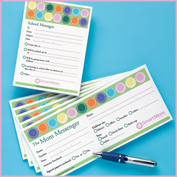 Earn money for your school, class or organization with Smart Mom Solutions fundraising! It’s simple, easy, and allows your group to sell products that moms love and want to purchase. For more information on the Smart Mom Solutions Fundraising program, email laura@bsmmedia.com.